Isha was responding to my blanket response to buycott junk food because it has GMOs. Isha feels that she is unfairly denied treats. Which most of her classmates eat. How to deal with a child who doesn’t understand? How to deal with a population who’s been denied the right to know what they are eating? Once I started to understand that if my food here in N. America isn’t certified organic, it probably has GMOs. This took some time for me to digest after coming back from many years of living in Europe. Shoppers here are deluded by “natural”. If food is labelled ‘Natural” and only that, it has no traceable system. It probably has toxic pesticides and herbicides and GMOs too. 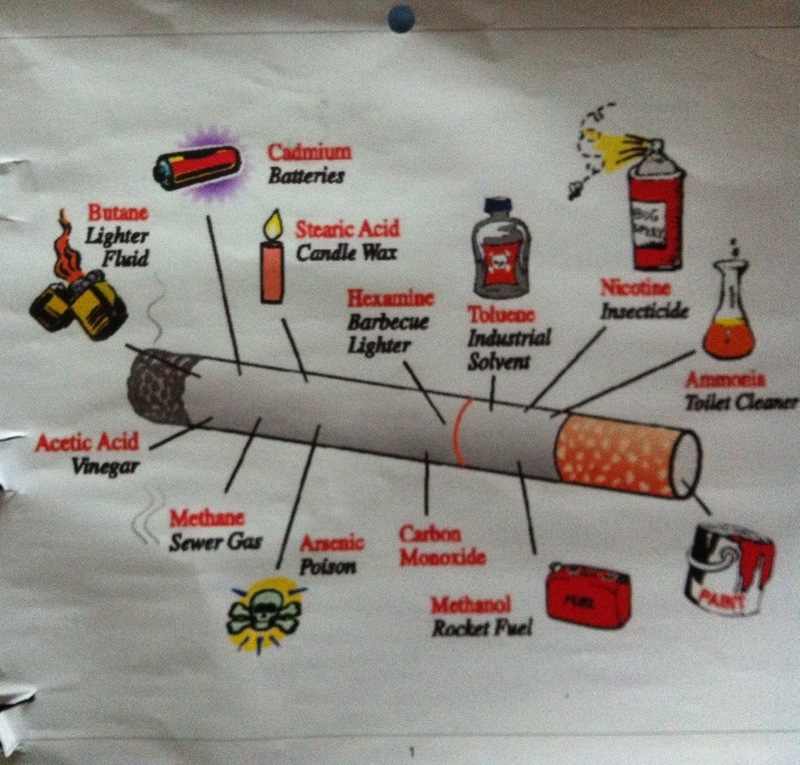 On one end of the food spectrum is obvious junk with artificial colors, flavours, aspartame…. Nobody should eat that #$*. These products must be categorically banished from food forever. But in the middle of the food spectrum is, let’s say, run of the mill “Natural” cookies. The do not have artificial anything on the label. But they most likely contain GMOs because they have sugar and corn. Or soy or canola. Most of the N. American supply is now GMO of these 4 staples. Or how about milk products or derivatives from cows fed hormones or GMOs? These ‘natural’ foods have toxic pesticides and herbicides and fungicides too. This kind of “Natural” product is worse perhaps because moms are lured into a false sense of security of it being healthy and “natural”. “Ug, what’s that mom! ?” Isha exclaimed, her little face all screwed up “What that those things?” she pointed to the tumors on these poor rats fed GMOs. So many studies who lone alarming thing after the other with animal fed GMOs: shrunken testes, inflamed pig stomachs…. But it was these pictures that did it for Isha. 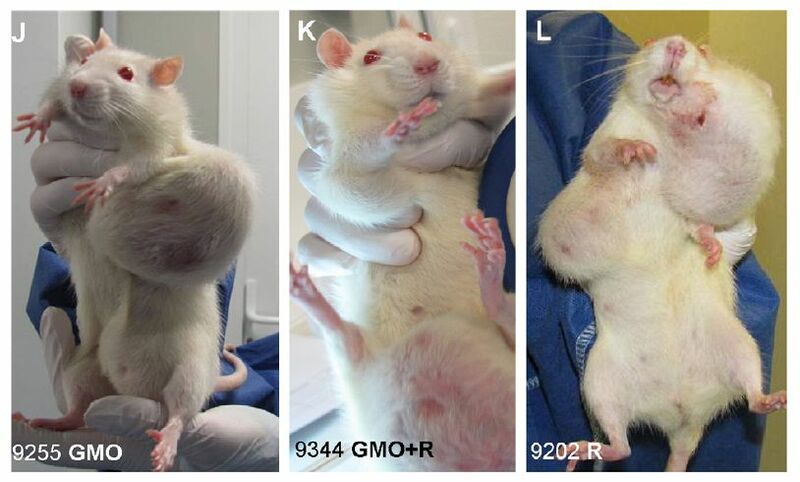 “Those rats were fed GMOs throughout their lives” I responded. “They ate GMOs? !” she looked like she was going to be sick. “I’m not eating GMOs ever again” she said decisively. I could finally breath a sigh of relief. Isha finally got it. She understood in a heartbeat that I wasn’t depriving her of GMOs to assert my maternal authority for authority’s sake. To conclude, we were walking in downtown Toronto when we encountered some guy promoting some online bank. He was thrusting popsicles into the hands of eager passer-bys. It was a hot muggy day. I refused but my daughters accepted. Half-way though eating them, my 12 year old read the ingredients in the orange popsicle. In case you were wondering, it didn’t have orange in it. I groaned. Artificial colours, flavours, GMO sugar…cellulose. Cellulose! Cellulose is tree bark! We aren’t designed to eat trees! The girls made a face and looked at the frozen chemical concoctions they had been gleefully sucking on. “Oh Mom,” their faces fell “We just can’t eat anything.” I heard despair in their little voices. This was a tough moment for me. I don’t want my kids to become paranoid about their food. But…. I told them that a little bit probably wouldn’t hurt them. They were only somewhat reassured. I was uneasy. This entry was posted in Mobilize and March, Organic, Right to Know and tagged European Food Safety Authority, Genetically modified food, Genetically modified organism, GMO, rat study, re-education, Seralini on September 16, 2013 by Gurdeep Stephens. A dramatic way for them to learn about the effects of GMO’s but it’s a lesson that they will hopefully remember.